Neil, thanks for this timely warning. A blog check-up would seem to be just what I need. On any given day in regard to my writing, I can experience symptoms ranging from severe hypo-motivation to a complete shut-down of the creative juices. It’s scary, unpredictable, and probably chronic. I hope I can get an appointment before Easter. Thanks again. I think all of us experience this “roller coaster ride of sorts”….I’ve kind of learned to go with the flow the past year. It’s nice to have followers (and I realize that “followers” need some kind of routine from you to keep following), but sometimes LIFE just takes over and writing takes a temporary backseat to other things…does that make sense???? Hi, Lucie. Right, blogging is part of our lives, but how big a part can vary depending on what else is going on. Good to know about your blog anniversary. My two year anni was last month, so I know how you feel—it begs for some sort of ceremony! Or it can be ignored, which it was. Don’t ever change! We love your musically, artistically, naturely themed blog, delivered in your quirky style! Always great reading. Many thanks, Diane. I appreciate what you say. Joyce, as always I thank you for being a loyal reader! Oh, my. I have no idea when my blog anniversary rolls around. I know I started in 2010 more or less, which means I have a backlog of posts of no discernable use. The end. Oh, I just remembered a use. It got me to writing more or less regularly when I had no project in mind. Now I have a project and rarely blog. Not sure what the message there is…..
Hi, Janet. The main thing, I guess, is that you have a project. That’s a good thing. I think your blog is just perfect so keep on doing what you’re doing. We need a little humour in this sometimes scary world of ours and your kind of humour is just the ticket. Thanks, Alyson. I appreciate that a lot. Neil, those are wise words indeed from the good doctor. Keep on truckin’! Thanks Jerry. I’m going to do my best! CB is rubbing his chin like Doc If “headier directions..politics, science, religion…”. Slap on the headphones, put on some of your favorite tunes and crank it to ELEVEN. That should work. Thanks, Kathy. I haven’t thought about the Flintstones in a long time. It’s good to see and hear them again. LoL! Ha ha ha! Are you sayin’ the wordpress community, developers and technicians are not reliable for diagnosis? Hi, AOC. You know, I’m open to any suggestions! No suggestions here. You have a great imagination!! Wonderful scenario! Happy Easter! Fantastic. Made me laugh out loud, and you blog is great just as it is. Thanks, Martin. I appreciate it. Yes, Neil, please keep on trucking. Hi Muriel. 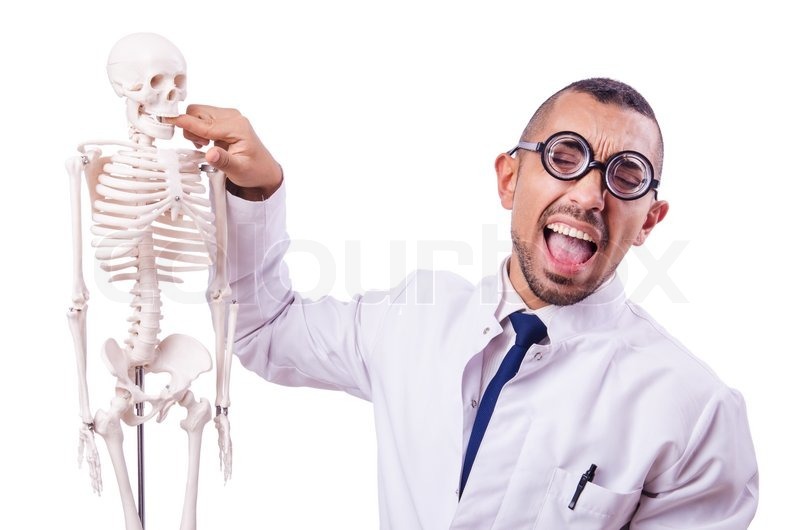 Unfortunately, he’s not accepting any new patients.